Spaying a female eliminates the risk of several types of cancer and potentially life threatening uterine infections. A female spayed before first heat cycle has only 0.5% chance of developing mammary cancer at old age, however this risk jumps to 8%, if pet is spayed after first and the risk is 26% if pet is spayed after second heat cycle. In dogs, 50% of mammary tumors are malignant and in cats, 90% are malignant. Male dogs and cats get neutered. Neutering eliminates prostate disorders and testicular cancer and can reduce other unwanted behavior issues. Recent studies in large breed dogs show some benefit in neutering after they finish growing, however we advise that each individual has its own needs and right age of neutering is best determined at the time of exam and after pros and cons have been discussed. 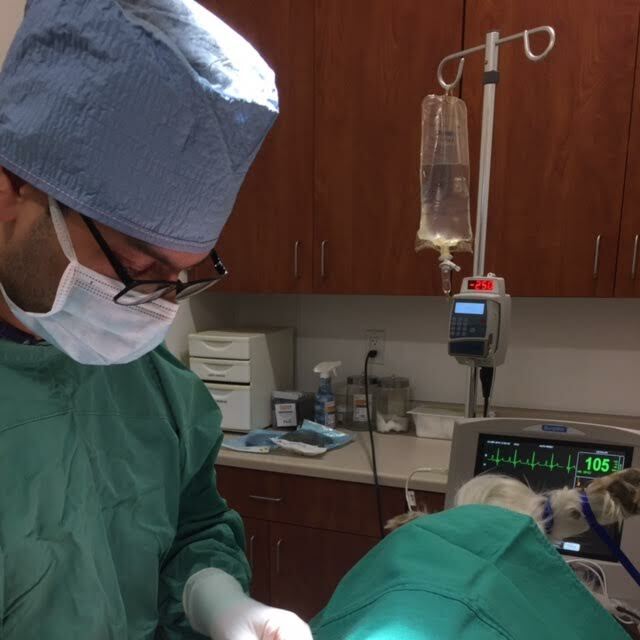 All our surgeries, including spays and neuter, receive IV fluids at the time of surgery, are monitored with a continous ECG, Pulse Ox, Blood pressure measurement, receive active heat support and best available pain management.